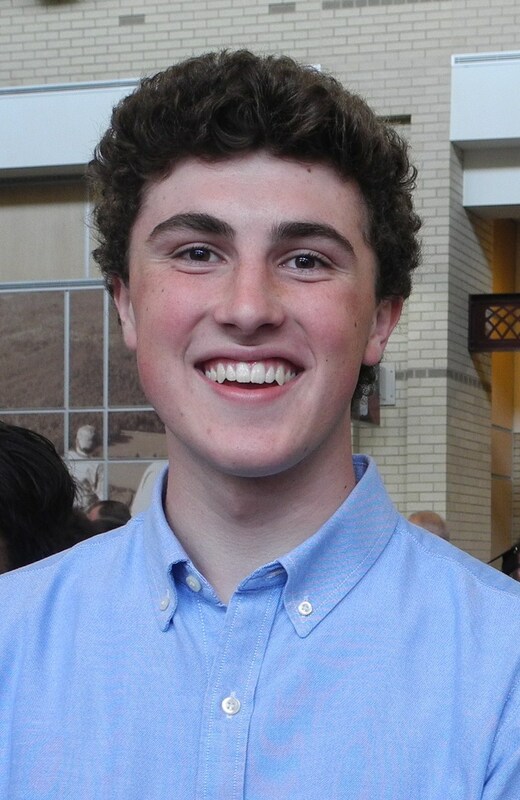 Our son Will is on his senior trip this week, so I took the opportunity to clean his bedroom, the bedroom he has had since he came home from the hospital a newborn. As I vigorously put clean sheets on his bed, I detected that the heavy, quilted comforter was a living organism. What with one thing and another, it had never occurred to me to wash it. As big as it was, I knew it meant a trip to La Lavanderia on Highway 278. Armed with book, coffee, quarters, detergent, and the delightful freedom of this inarguable and stay-on-site task, I whipped my Fiat into the parking lot and unloaded, chop-chop and things to do. The minute I entered the Laundromat peace stole over me such that my scalp goosebumped and I skin-shivered. The smell was of musty clothes and soaps. The sound was rhythmic and watery. The laundress, with slow and satisfying movements, transferred taut, spun-out wets into a dryer. Imitating her deliberation, I slowed down and read the instructions on the front-load washer. “Load garments into machine and turn handle counter-clockwise until lock clicks.” Slowly, enjoying the polished metal handle and the snicky click of the lock engaging, I obeyed. “Insert quarters.” I found the slot, tray, and flashing digital display indicating $5.00 would cover the wash cycle. As I pushed each quarter in at the slight angle it required, the laundress padded softly by with a cloth push broom and said, “I always use the second compartment for detergent on that one.” It was like getting a back rub. 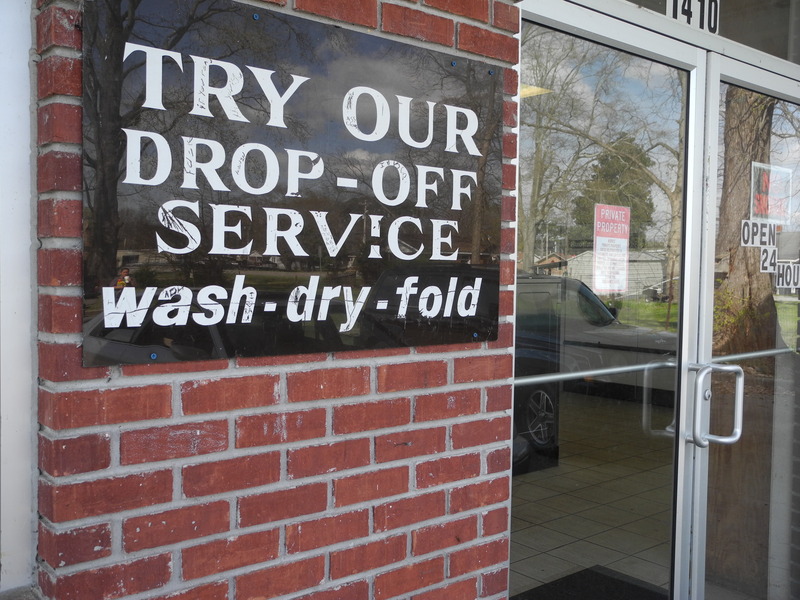 The sloshing of the washers, the turn-over of the dryers, the scuff of her shoes, and the genuine helpful intent rendered in mellifluous Cullman County English. I used the second compartment, as advised. Sitting on my bench, I watched the watered suds cascade the glass door, rubbed occasionally with dark, wet fabric. It was lulling, like anesthesia. Muted in the background, the laundress spoke on her cell-phone and though I only heard her half of the conversation, her life and her character emerged in full. She offered wise advice to a young relative that now was the time to stay home with her babies and that might mean moving to a smaller apartment, but it would be worth it, that ‘he’ would have get a second job, but that is life, people do it all the time. The gentle, practical wisdom of experience and love given while she emptied coin boxes and anticipated an older gentleman’s need for direction without seeming to give it and folded clothes and solved problems. I read George Orwell’s 1984 to the Laundromat lullaby. A slight change in the musical theme let me know my spin cycle was finished. Carefully, in the same slow cadence set up by the Laundress, I pulled the wet quilt – heavier now – from the machine. Choosing a dryer, I held the wetness against myself and read the instructions, “8 minutes per quarter. More heat . . .Less heat.” Hmmm. I didn’t want to fry the comforter. So I chose about ¾ heat, inserted four quarters straight in, and pressed the start button. The whirr was instant and the lullaby picked back up. Back on my bench, I watched the tossing quilt. It really was therapeutic. Laundromat Therapy. Knowing that everything around me was getting cleaner! That the quilt I put back on Will’s bed would smell good and be sterile and soft. And his room would smell good, and even that whole end of the house. And the Laundress’s daughter might even take her good advice. A laundromat is a hopeful place. And the satisfying loft and tumble and loft and tumble like music. 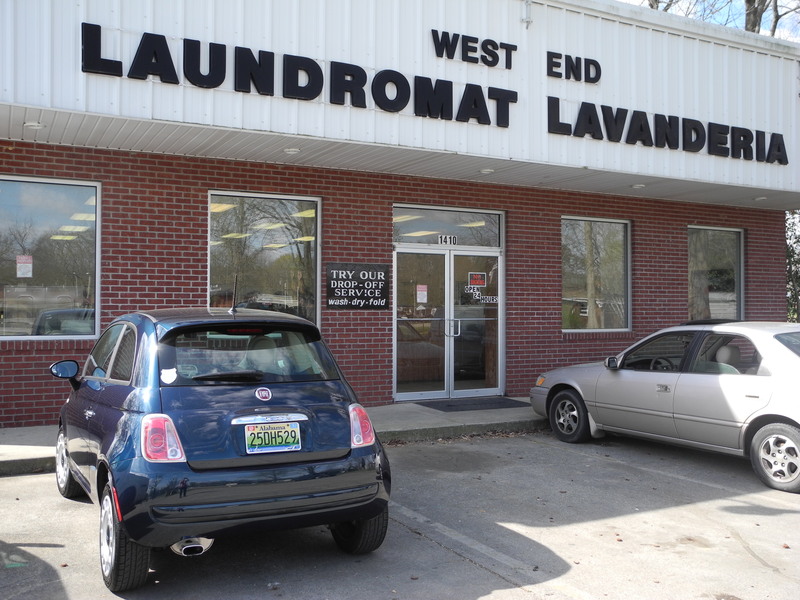 The Laundress asked me if I liked my Fiat. Yes, I answered. It is a zippy little car. I feel like a James Bond girl in it. She gently hinted that in the future I might put the comforter in one of the bigger machines as it allowed it to spread out more and dry faster. Wisdom. A shrieky woman came in with her granddaughter, cawing out laughter and needing change. The Laundress, with her white hair pulled back in a nicely-thicker-than-expected ponytail, obliged. She listened to the woman’s life chatter and lined up several pairs of little girl shoes alongside each other. I glanced at the shoes and assessed that they were for a Hispanic 4 year old whose soul loved color and pizzazz. 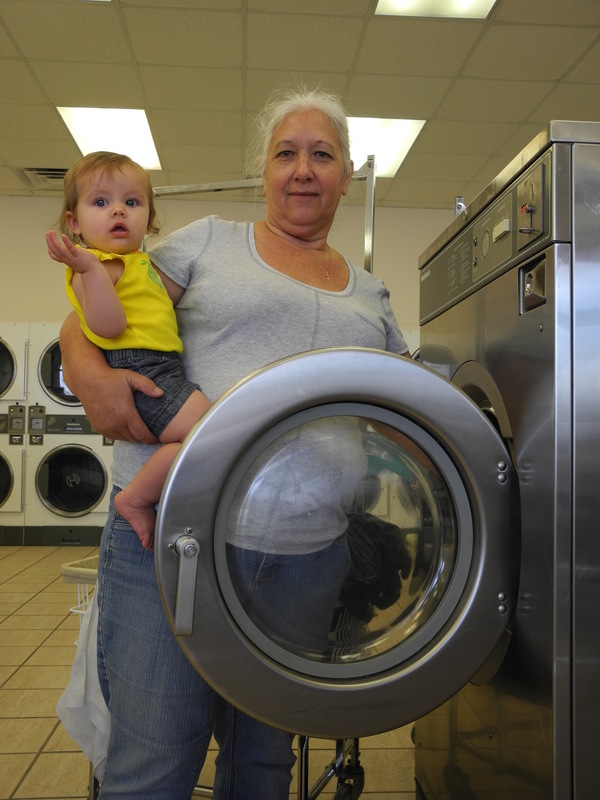 Why they were at the Laundromat was a puzzle. The brash woman yawped that my dryer was finished. She was being helpful. I thanked her and gathered the warmth in my arms. The woman’s granddaughter watched me silently as I folded the plaid comforter square and square again on a rounded formica folding table with hanging poles at either end. I worked slowly, not quite ready to leave. The granddaughter watched. The brash woman chattered. The Laundress emptied the trash can. And then it was time to go. 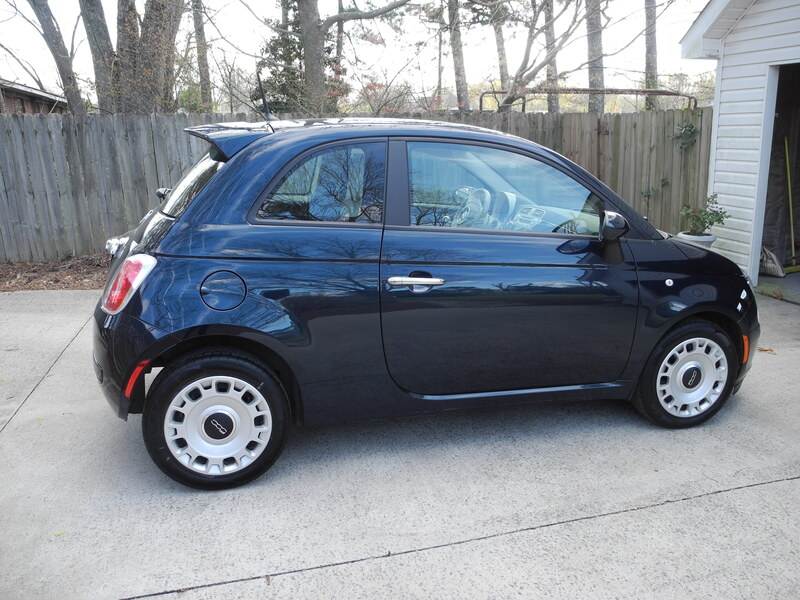 I got into my zippy Fiat and reentered life in the fast lane, but quieted, like I had just had a massage. Monday afternoon, 1:20 p.m. I just now looked the squirrel in the eye. She is enjoying the 70 degree weather as much as I am and is not even trying to tippy-toe around the rafters of our screened porch where she has built an admirable, protected nest that evidences not survival of the fittest, but God’s common grace. From that perch, her offspring will have a long and prosperous reign over their inheritance. For several weeks she snuck around at night pulling the stuffing out of the furniture until the fabric hung gnawed and the polyester filling frothed out. The porch chairs look like flayed rabies victims. But now that Andrew, b-b gun expert among other things, is off studying in St. Louis, the squirrel veritably whistles as she works in broad daylight, carrying the chair cushions into the rafters nibble by nibble and dropping as much on the tile floor until my porch is more to her liking, more hamster-cagey. Cheeky, as Mary Poppins would say. I didn’t begrudge her the chair cushions. They were in their dotage. But when I saw evidence of her pickage at the new coverings on the swing and couch, the question became what to do. B) those whose only question is should I put on goggles while I do it (germs, maternal claws). I come from a long line of group B, and storms are coming in tomorrow night. So my window of time is short, and I must engage. It is not enough to hope the pecan tree breathes its last and falls in a lashing wind to obliterate the porch and its rodent. No, I’ve got the ladder in place, rubber gloves on, the broom in hand. Courage. Courage and faith.